We’ve been having some pretty nutty weather these past few weeks; warm sunny days well into the 80s and then cooler days with overcast skies. However, the spring season is surely peeking its head at the Hollywood Farmers Market. Vendors are slowly rolling out early spring produce such as asparagus and peas. There are even a few farmers with some early strawberry crops, too. 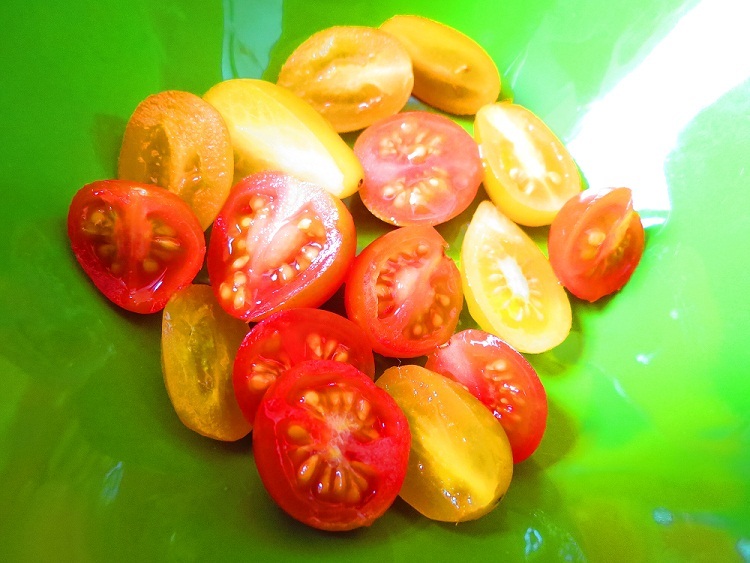 Today however, it was the organic heirloom cherry tomatoes that caught my eye. 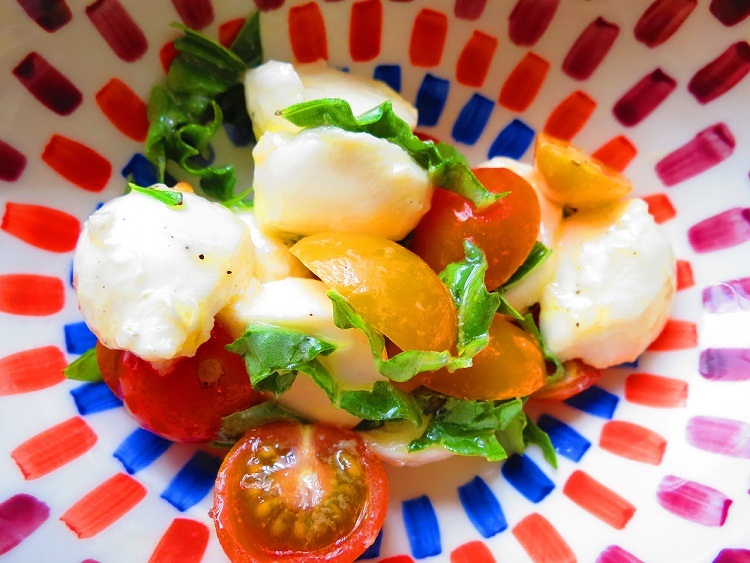 I wanted to make a simple side dish to accompany our bbq chicken pizza lunch so I whipped up the easiest Caprese salad using today’s farmers market finds. 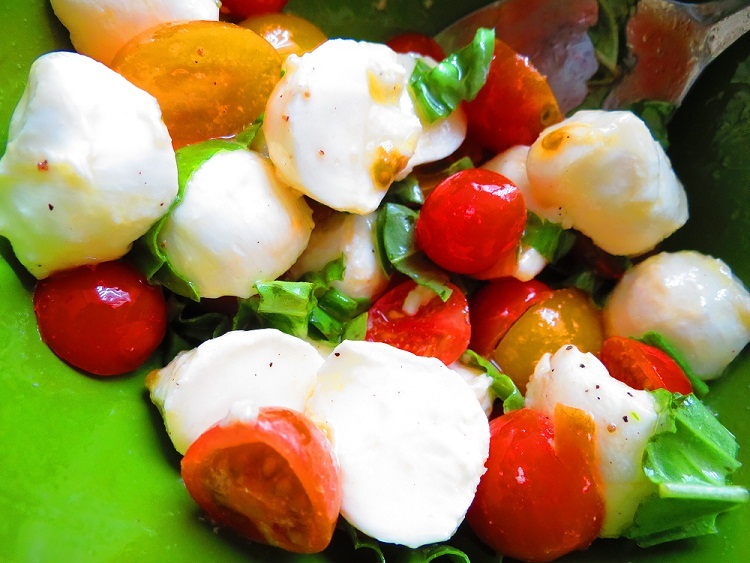 (For a serving for two people as a side salad): A handful of cherry tomatoes (halved), about a half dozen Ciliegine mozzarella balls (or any type of semi-soft mozzarella, fresh buffalo is best), 3 or 4 pieces of fresh basil sliced into thin ribbons, two tablespoons of very good olive oil, and a dash of salt and pepper to taste. Toss everything together and you’re good as gold. Fresh and comforting; something that is sure to please all the way until late summer.